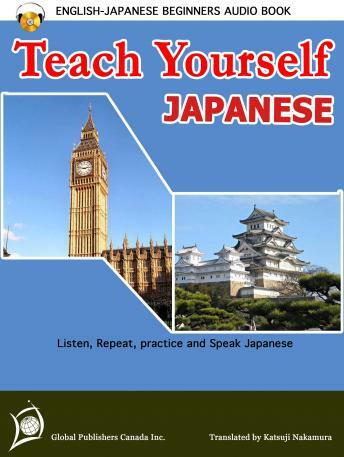 Listen to "Teach Yourself Japanese (English-Japanese Beginners Audio Book)" on your iOS and Android device. This Japanese-English Beginners audio book is aimed at effective and quick learning of Japanese for all beginners. It is a user friendly book compiled by language experts and recorded by native speakers who will guide the learner in capturing the correct pronunciation. It covers a wide range of vocabulary and expressions to help the learners develop their oral communication skills in Japanese. Speak Japanese in the shortest time possible with this new audio book. Listen, Repeat, Practice and Speak Japanese. Learning has never been made this easy!